SEM Laurels is a senior housing community for ages 62 and older which is home to residents that live and laugh together. Since 1979 SEM Laurels has provided the privacy and freedom of home combined with the convenience of 24-hour on-call maintenance. Our friendly staff is dedicated to serving seniors and is passionate about their residents. We offer a wide variety of social and recreational activities designed with you in mind. 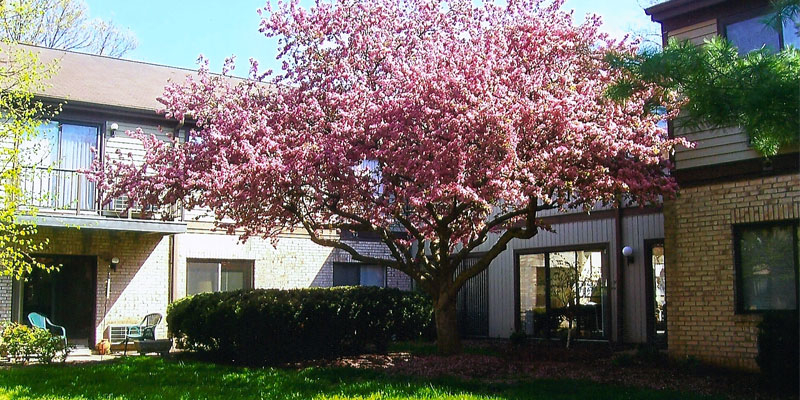 Our residents enjoy the family-like atmosphere in a suburban setting which is conveniently located in historic downtown Milford, nestled on 55 beautiful acres of land overlooking the Little Miami River.